I’m always working on some project or another, which means I often have FOs and new designs to share. I usually share these on Fridays as part of FO:Friday, but sometimes I need the weekend to catch up. When that happens I share my FO the following Monday, because who doesn’t like a little bit of Friday with their Monday? You can see all my FOs … here … and all my designs … here. 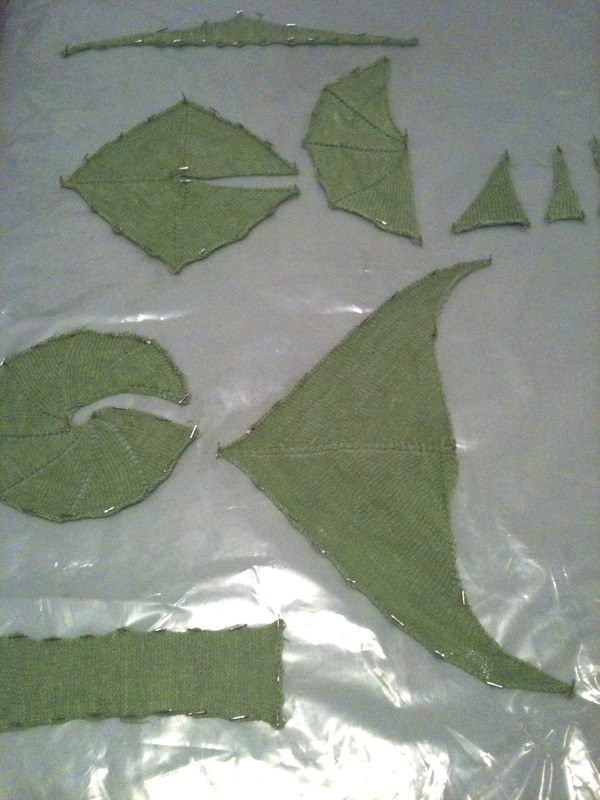 The second and final (fingers crossed) round of green swatches are blocking as we speak.